My name is Eliezer Szrolovits (Allen) & I am writing to share with you from a visitor’s perspective what a unique and warm makom Torah/tefilah you have created. Over the years, my wife and I have travelled to many destinations, mostly resulting from business but also for rejuvenation. I cannot recall EVER ANYWHERE being greeted the way I have been here, from the first moment I stepped through your doors (by Dr. Kanner and then by almost everyone present) and continuing each day I came." Do you need any help ? Here is my phone number if you need anything”. Amazing smiles & sever panim yofos.…..After hearing the Rosh Yeshiva’s vibrant mussar and halacha talks, it all makes sense. There are unfortunately too few who stress both Torah and Middos/chesed/mussar etc. May You be zocheh to continue to nurture and build the future of Klal Yisrael together, no doubt bringing much nachas ruach to Hashem. THANK YOU !!!! p.s. We write a weekly short email (try for one page) on a segment (phrase, pasuk,…) of tefilah & promote Rav Pam’s idea of special focus on that phrase for a week, acquiring it, and moving on. Segments are geared to promote increased closeness to Hashem through tefilah. Check us out at www.weeklytefilahfocus.com archives “About the Program" and Intro. Ashrei is complete & we are mid-shemoneh esrei. I'm very deeply inspired and impressed by the quality of Yeshiva HaTurim. The Rosh Yeshiva, the Talmidim, and the learning method are, in my estimation, greatly beyond expectation. Rabbi Green is a vitally present, warm living example of a true Torah personality. His love of HaShem, Torah, and of life itself, are invigorating and infectious. When the rabbi gives shiur, it becomes readily apparent that he's a master at using stories and humor to bring out the deepest Mussar points. His communicative approach reveals his immense trustability which is disarming, allowing the lessons to penetrate the heart. Some people have what it takes to get through, and the rabbi is clearly one of these people. Regarding the learning method, Rabbi Green has created a refined and exacting learning method that allows one to pull back the curtain on all aspects of the Torah. I feel that once I understood the implications of the method, I was able to truly learn for the first time. Of course I thought I knew what learning was before, but I can say that now "I know how to learn". The method has radically flipped my understanding of how Torah is constructed, and in turn what it means to be a true Torah Jew. I can't stress enough, my utter surprise about this point. My understanding of what learning was, was absolutely transformed. Kehillas HaTurim is an authentic taste of Israel right in the middle of Phoenix. For those of us who have been fortunate enough to spend any length of time in Israel, we appreciate what it does for the soul. It elevates learning, middot and life experience in a way that is truly unique. In some way, Rabbi Green has been able to distill some of this essence and bring it here to Phoenix. How does it work? I don't quite know, but I see it in the sincerity and dedication of the shul members to the shul and each other. Each is invested in the shul as though it were his own abode. There is no "me." It's "us." We know that we depend on each other, so the well-being of others is our own well-being. There is no substitute for just trying to do the right thing, for the right reasons, with humility and with the Torah as our guide. If I had to guess at how Rabbi Green pulls it all together and inspires us, I would say that it is in his purity of spirit to simply build a Torah community that is committed to Torah growth. There is no doubt that this requires us all to step up to the plate and do our part. He is not a figurehead espousing some personal mission. The members are not passively going through the motions as some antecedent for later schmoozing and hot cholent (even though the cholent is quite heavenly). This shul is about work. But, it's good work. Solid davening and good learning with a gentle push to take it to a higher level. The spirit of the community and service lasts well beyond Shabbat. It gives us hope that it is possible for all Jews to help rebuild the Beit HaMikdash and that we are capable of accomplishing what G-d demands of us. As a member of the this shul I am mindful of how very fortunate we are to have Dr. Kanner as our president, Dr. Kanner has selflessly given of himself, his time, and resources and this is of course, a true and profound example of Avodas Hashem. Moreover, Dr. Kanner's leadership has served to expand the Rabbinate of our beloved Rav Shimon Green who is so uniquely special that words alone could not begin to sufficiently articulate his special talents. Nevertheless, I will attempt to employ the right mixture of adjectives, nouns, and verbs to describe Rav Green. 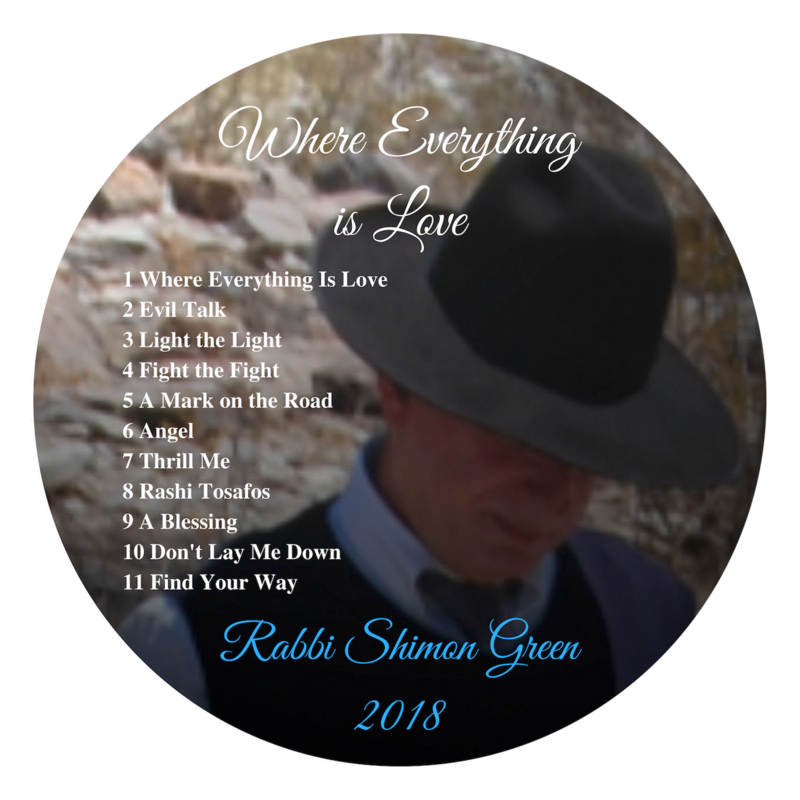 If you could for just one brief moment imagine a Rav who is constituted by the combination of the highest degree of Holiness, Compassion, Humor, Empathy, and Friendliness then a somewhat hazy idea of who Rav Green is can begin to form your mind's eye. Then, I would suggest you allow yourself to become aware that Rav Green is one of the World's finest Torah Scholars and whose depth of knowledge and understanding of the Torah is astounding. Of course it is a great achievement to have so much knowledge but to have the talent and ability to present it in such a manner that the laymen can begin to approach the subject matter with a semblance of cogent understanding is truly awe inspiring. The Rabbi has a great speaking and singing voice which serves to beautify the words of Hashem's Torah. Whenever I hear the Rav speak I am well reminded of the feeling that I used to get as a kid whenever I went to Madison Square Garden to watch the New York Knicks. Sometimes I would be able to get into the lower level seats and watch a stellar performance; which often left me with the feeling that I witnessed greatness up close and that I had not really paid the full and fair price in doing so!